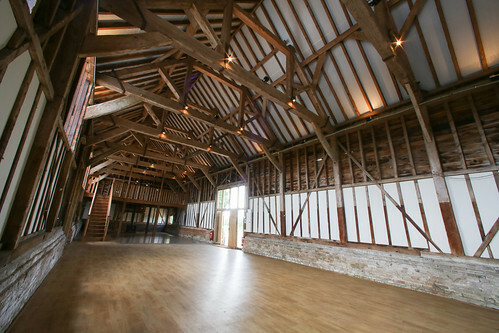 Get in Touch with Bonhams Barn for an unforgetable Party Location in Hants. Why not celebrate your special birthday, anniversary, or other landmark occasion with a truly unique, one-off event in the total privacy and seclusion of a private estate? Whether you would like to treat a handful of your closest friends to a sumptuous evening of private dining and entertainment, or are thinking of splashing out and providing more large-scale festivities, there really is no finer venue than Bonhams Barn. Check out some of our party catering options..
"It was a pleasure to return to Bonhams after so many years and the barn was the most wonderful setting for our party. Drinks on the lawn beforehand provided everyone with the most wonderful views as guests mingled and sipped their champagne before dinner in the magnificent barn followed by what some described as dancing thereafter!! The entire evening was a huge success judging from the thank you letters and feedback from friends and family with everyone being so impressed with the setting and venue. In particular can I thank you for your relaxed and supportive approach to everything we wanted to do, this made making all the arrangements so much easier."